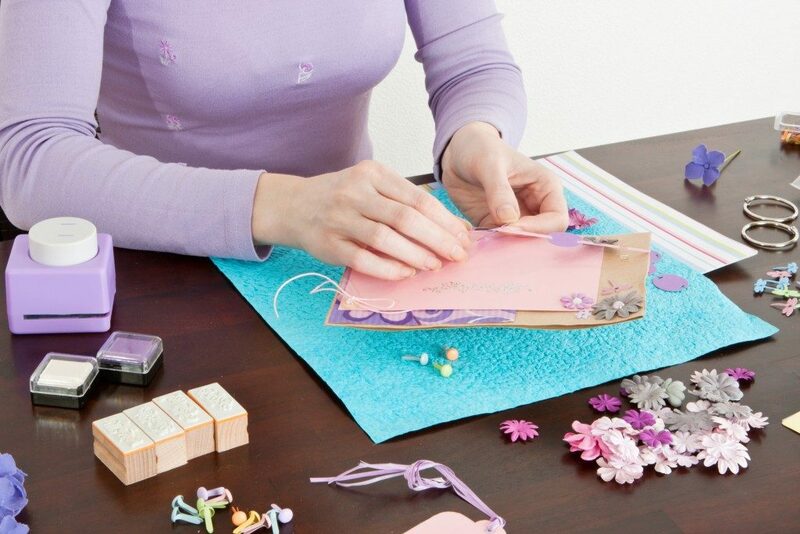 Scrapbooking is an art and like all artistic pursuits, you’ll have better output if you know how to use materials together to create something beautiful. You can collect letters, photos, and other memorabilia and compile them in a book, but without any artistic detail on each page, it will not feel like you enjoyed the journey. The easiest way to scrapbook is to choose one solid color for the pages. That will look plain without any stamps or other detailing, however. One hassle-free option is the use of metallic accents, such as black foil, to make the pictures you’re compiling stand out on each page. You can also use metallic pens to write labels or describe what’s going on in each photo. Choose gold and silver pens for a more premium feel — pink, green, and other playful colors make for a more festive page. You want your scrapbook to last for years. A dark color sounds like the perfect choice so that accidental stains will not show on each page. When everything is just the same dark shade, however, you run the risk of the scrapbook feeling gloomy or sinister. You definitely don’t want the memory book filled with your child’s photos to give the wrong impression because you chose to just use black everywhere. A pop of vibrant colors on the edges of the page can be enough to turn things around. It’s even better if you use patterns and shapes in bold colors to signify the youthfulness of the subject. Anything shiny and shimmery can add glam to your scrapbook. When everything has glitters, however, the pages could look distracting and it may be too much. It’s best to keep glitters to a minimum so that you’re not leaving quite a mess as well. If you must use glitters, balance them with parts of the page that are matte. For instance, if you’re going with lighter colors for the main background of photos and pages, choose matte accents as borders or labels. Even the cover page could be matte, making the glitter in the inside pages a surprise. Stamps are perfect for adding details to your scrapbook, but when you’re using the same stamp over again, it might just look boring. Unless you’re using stamps for borders, you can do with a little bit of irregularity. Even scraps of colored paper can be used as design elements to minimize your waste and come up with a unique design on each page. Geometric patterns are easy to create from scraps, but if you’re willing to experiment, you can go with more irregular shapes. There is no single rule to follow when scrapbooking. Use any and all tools you have available, and don’t be afraid to experiment with different textures.